Oakland, CA — It is no secret that many children in America are not being served by their schools. While everyone plays a role in this struggle and in its solution, no one group is more important than parents. 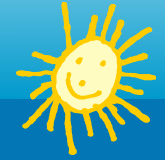 Only when families and schools are committed to partnering can all children truly succeed. Tovi Scruggs says the answer is not simply parenting, but “educational parenting,” a term she has originated to get parents and school systems to look at serving students better for academic success. First Lady Michelle Obama & Essence Magazine Editor-in-Chief Vanessa K. Bush have put out the call in the August 2014 issue for us to be a champion for our children. Parent Champion Coach Tovi Scruggs has just released a book in full alignment with that national call and initiative; the book is titled Be a Parent Champion: A Guide to Becoming a Partner with Your Child’s School. Tovi Scruggs, co-founder of ASA Academy & Community Science Center and now principal of a large comprehensive public high school in the Bay Area, wrote Be a Parent Champion: A Guide to Becoming a Partner with Your Child’s School and conducts corresponding interviews, workshops, and book talks that are designed to motivate and educate parents to be their very best as school partners. Parents are inspired to analyze, reflect, and take action in regard to how they co-educate their children by partnering with their child’s school. 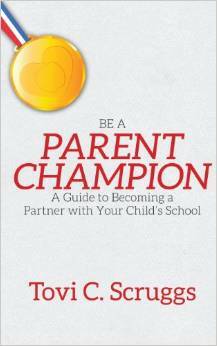 Parent Champion is the must-have book for this school year! All parents should read this book and get the kids off those Iphones. Next World Health: West Africa – Ebola Virus…Has anyone been following this story closely?